About 570 kilograms of cannabis has been seized by police during an anti-drug action conducted near Qafë Thana border crossing point with Macedonia on Wednesday. Meanwhile, 7 persons have been arrested so far and another has been announced wanted. The whole amount of narcotic substance according to official sources was hidden in the chassis of a white cargo van. This transport vehicle was suspected to be first crossed in the neighboring country of Macedonia through Qafë Thana border crossing point, while the final destination is not yet known. 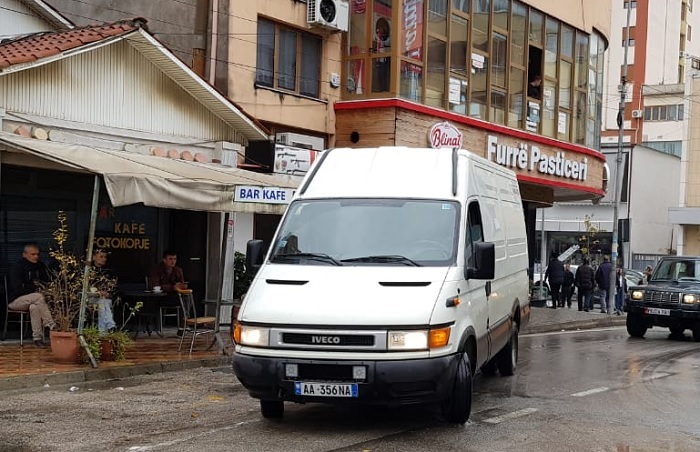 After the blockage of the drug-filled van some persons are accompanied to the Local Police Directorate of Elbasan, among them the driver of the vehicle with the load of 570 kg cannabis sativa. The vehivle with AA 356 NA licence plate carrying more than half a ton of drugs resulted to be owned by a business from the Fier Region. According to official sources, law enforcement officials stopped the drug van, not far from the Border Crossing Point with Macedonia, since they had kept strict observation from the place where it was launched with the drug load. The operation was finalized after several months of drug investigations that this van trafficked large quantities of drugs targeted at one of the neighboring countries. Meanwhile, it is suspected that a large number of persons are involved in drug trafficking. From Wednesday midday, Antidrugs Police is in operation for arresting them and warning of many arrests. The investigation, according to official sources, has been extended to the Elbasan and Fier districts where it is suspected that part of this network is a criminal organization with great economic power. Currently, some people involved in trafficking of 570 kg of cannabis sativa have been identified, some of whom are alleged to be part of an international drug trafficking network from Albania.